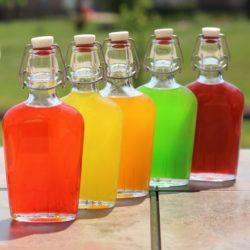 Featuring Skittles Vodka and other candy vodka infusions along with herbal, fruit and vegetable infusions (coming soon! 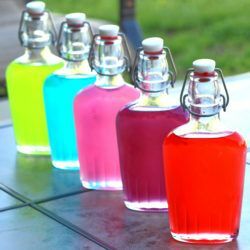 ), alcohol infusion is a great way to create your own unique and tasty craft cocktails! 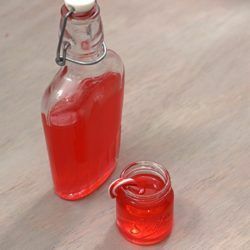 Candy Corn Moonshine is perfect for Halloween and fall tailgating. It mostly tastes like the candy, but with a kick and that moonshine flavor, too. 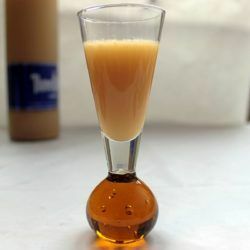 Here’s what happened when I infused vodka with chewy caramel candies and just a touch of salt. 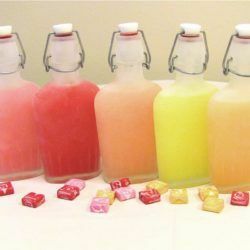 Based on our earlier fun with Skittles Vodka, we decided now was a good time to find out what happens when you infuse vodka with Starburst candies. 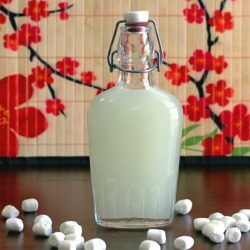 I infused vodka with marshmallows, and used a French press to do it quickly. The result is totally different from a store bought marshmallow vodka.